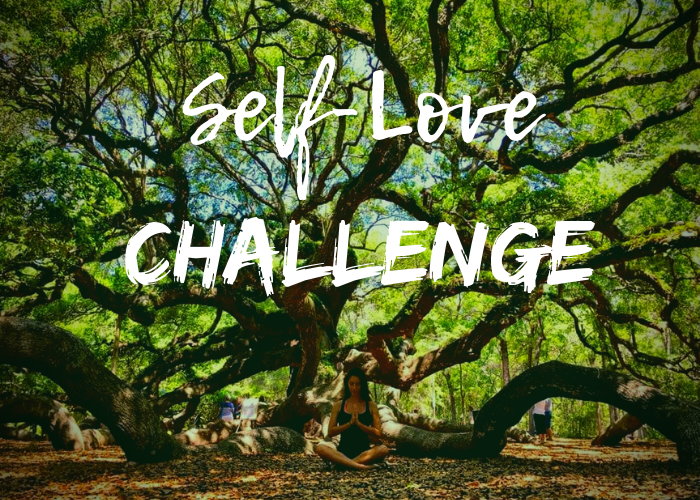 The journey of learning how to love yourself isn’t easy, so I decided to do a 10-day Self-Love Challenge to share the practices that I use and teach my clients. The journey of learning how to love yourself isn’t easy, especially in a world that teaches us the opposite. Still, going against the odds is all part of the adventure. Learning to love yourself better is easily the most empowering, self-enriching, and body-honoring practice you can ever do. And it’s completely doable. It just takes practice. I decided to do a 10-day Self-Love Challenge to share the practices that I use and teach my clients. Although the contest is over, I would still LOVE to see you participate in the Self-Love Challenge on your own and tag me in it! And for those who want to delve deeper into the radically transformative power of loving yourself, the fun doesn’t stop here! Read below for more info on my newest offer, a ladies only self-love community!! Those who participated in my 10-day Self-Love Challenge had the chance to win a 3-month 1:1 coaching package with yours truly! That’s over a $1,500 value! Although the prize has already been claimed, I’d still love to see you join in on the fun! Below you’ll see the full challenge. Each day I give you an exercise to complete. Every day will be different and offer a new tool to add to your self-care rituals. Try them all on for size and see what you resonate with most! Tag me on Facebook or on Instagram & use the hashtag #selflovechallenge to make sure I see your posts. Tag your friends to join you & engage with the growing global community of self-love warriors. Day 1 of my Self-Love Challenge is all about honoring your body with mindful movement. In this case, a vinyasa yoga and pilates mat fusion sequence. Your action/exercise for today is to follow the sequence below and feel it in your own body. Then post about the experience. What did you feel? What did you notice about your body or your mind? How did you treat yourself during the flow? How do you feel differently afterward? Take this sequence slow and breathe deeply. There is no rush or need to perform perfectly. Honoring your body with a daily mindful movement practice builds your self-awareness, teaches you how to listen to your body, and helps you release unnecessary tension and stress. A strong and flexible body is a happy body that will reward you tenfold. I use the word “mindful” because this practice is about being PRESENT and feeling your body from the inside out. It’s simply getting out of the chatting mind and into how the body is feeling. So, bring your mind’s attention to how your body feels throughout the exercise. Notice where you feel sore and tight today. Take your time to tune in and listen to what your body is telling you. Notice when you are judging and/or criticizing your body or “performance”. Remember, that no matter where you are on your movement journey, what matters is that you show up and practice. Do the best you can and let go of any inner criticism. Showing up to your mat is winning! Take it slow. This video is sped up x 2. Be sure to repeat the other side so you are not lopsided. When you’re done, share your experience on your FB wall or on Instagram, or even in the comments below. Tag me in your post and remember to use the hashtag #selflovechallenge. Day 2 of my Self-Love Challenge is focused on practicing meditation and affirming mantras to calm your mind and empower your heart. Meditation is often one of the most difficult practices to commit to. Sitting and witnessing your own mind can feel terrifying & overwhelming at first. There may be a lot going on up there that is not easy to see, feel, or face. And when you realize you are not your mind, you realize you have the power to consciously choose how you respond to the beliefs, programs, and stories that loop your mind on repeat. So, today’s exercise is to meditate for 10 minutes followed by repeating a mantra/affirming phrase of your choice. Sit in a chair with a back to support your spine. Set a 10-minute timer. Put your bare feet flat on the floor and close your eyes. All you have to “do” is follow the rhythm of your breath. Witness what your mind does. Notice the tangents it takes you on. The stories it brings up or repeats. Perhaps emotions come bubbling up. It’s all good. No judgment. Every time you notice your mind wandering off of the focus of your breath, bring it right back. You may do this a thousand times. Don’t worry. This is normal and part of the practice. When your alarm goes off, choose an affirming phrase like “I am limitless,” “I am enough,” or “I am capable.” Repeat this mantra out loud at least 30 times. When you notice your mind wandering off, come back to the mantra. Day 3 of my Self-Love Challenge is all about setting better boundaries to support your limitless growth and potential. Do you constantly feel exhausted, stressed, overwhelmed, resentful, and taken advantage of by other people? Are you a people pleaser who has a hard time saying no to others? Do you feel guilt and shame about taking time to care for yourself? If you felt like you could relate to any of these, it’s time to build much better boundaries to honor your space, time and energy. What boundaries do I currently have that are serving my highest good? What boundaries do I try to maintain, but frequently fail to do so? When and how do I express my needs? Do I ask for help when I need it? When do I say yes when I really want to say no? What boundaries are required for me to truly thrive in my mind, body, and spirit? Once you’ve gained clarity about these answers, it’s time to put them into ACTION with the people in your life. Practicing saying no and expressing your truth with compassionate and clear communication with at least one person today. This could be a simple conversation with your partner about how you will be going to the gym every day and will need his/her help to watch the kids while you take care of yourself. Feel the uncomfortable emotions that may arise as you do this. Sit in the fire and let it burn away all that guilt and fear that is no longer serving you. Day 4 of my Self-Love Challenge focuses on the power of holistic nutrition to radically transform and heal your body from the inside out. Health is our greatest wealth, and nutrition is the key to feeling fantastic. You can work out at the gym for hours and meditate for days, but if you are not consciously choosing what you eat, you will not feel any real shift in your body. The trillions of cells that make up our magical bodies require clean, nourishing, whole foods to perform at their best. Most people have no idea how good their body is designed to feel simply because nutrition has never been a priority. If you are sick and tired of feeling sick & tired, NOW is the time to try a new approach that truly honors your body. Remember, food can be the greatest medicine or the slowest form of poison. Part 1 of today’s exercise is to eat as clean as possible ALL day. Yep, you read that right. All day. This is a challenge after all ? What does clean eating mean to me? It means cutting out foods that are heavily processed, sprayed with toxins, heavily salted, fried, genetically modified, or full of sugar. No alcohol either folks. It means eating an abundance of organic veggies, greens, fruits, nuts, seeds, seaweeds, legumes, and sprouted grains. If you can’t get your hands on organics, do your best with the conventional produce near you. Notice I didn’t mention animal products. Can you go one day without consuming anything that comes from an animal? It’s actually much easier than you think. I’ve been doing it for 11 years! If you’re already a plant-based eater, this may be super easy for you, so I invite you to experiment with going raw! How do I disrespect my body with my food choices? Do I use food as a numbing/coping mechanism to stuff down my feelings? If so, what can I do instead when I feel stressed, sad, tired, bored, etc? Do I prioritize nutrition daily? If not, what are my excuses and how can I overcome them? You got this my loves! Day 5 of my Self-Love Challenge is what I call conscious flow journaling. Writing is one of the most powerful tools we have to manifest our ideas into concrete reality. It literally brings the ethereal into the material world. You don’t have to be a “good” writer to experience growth and transformation from your own words. You never have to show these words to anyone if you choose. Think of your journal as a sacred place where you go to learn more about yourself and create your dreams. Today’s exercise is to write (with pen + paper) for 15 minutes straight with NO agenda. Just write what comes to you. Whatever it is, don’t judge it, perfect it, or stop it from flowing. Practice trusting what comes to mind and let your hand move. Whatever is going on in your mind and heart will flow onto your paper with grace if you allow it. What do these words reveal about me? Did I learn something new about myself? Are there any lessons or bits of wisdom I can take away and use? What emotions did I experience? If I could meet my 90-year-old self, what would they say to me right now? Maintaining a daily journaling practice is a GAME CHANGER for self-inquiry and mastery. When you gift yourself permission to ask and answer deep questions, you realize many of the answers you seek are within you already. Writing builds self-awareness and critical thinking skills that will help you gain the clarity you seek and initiate action towards your dreams. If you don’t have a journal or notebook, now is the time to pick one up! Day 6 of my Self-Love Challenge emphasizes the importance of forgiveness and letting go of toxic people in your life. When you forgive yourself and others your heart heals and opens. Today’s exercise won’t be easy. Long lasting transformation never is. Stuck emotions will surface and tears will flow. This release is necessary for you to heal old wounds and cut the energetic cords that tie you to your past so you can open and create space to receive what’s coming. Part 1: Write a forgiveness letter to yourself. What do you want/need to forgive yourself for from your past and present? Get detailed here. Part 2: Write down the names of who you want/need to forgive from your past or present. Write them each a forgiveness message in your journal. It doesn’t need to be long to be effective. A few paragraphs each is great. Specify exactly what you are forgiving them for. Part 3: Write down the names of the people in your life that you know are toxic to your growth and happiness. Write them each a goodbye message in your journal. Include exactly why you won’t be choosing to spend your time with them anymore. Now, to be clear, you don’t need to send the people you named in your journal these messages. The energetic cords will be cut, but it’s extremely powerful if you do decide to share these messages with them. Once you’ve severed the cords, it’s important to act in alignment with your written words. The words will mean nothing if you keep playing out the same cycles through your actions. This exercise is your golden opportunity to stay in integrity and do what you say you are going to do. I am SO looking forward to seeing your posts and stories! Remember, it’s more than okay to cry. Tears mean you are processing and releasing what is no longer serving you. You will feel lighter afterward. I promise. This is the work where we face our shadows and walk through the fire. You got this! Day 7 of my Self-Love Challenge emphasizes unplugging and immersing in the magic of nature. In this busy, fast-paced world, it’s ridiculously easy to get sucked into our devices and go months without walking in the woods, swimming in the ocean, or simply stopping to smell the wild flowers. This massive disconnection from our true source, the Earth, is causing some major physical and mental health issues. Have you noticed? Do you feel ungrounded, scattered, and overwhelmed with the frenetic energy buzzing around you constantly? Do you feel disconnected from your heart and spirit? If so, it’s time to explore some wild open spaces. The wisdom of the Earth is always there for those who are willing to listen. Nature is our greatest medicine for the mind, body, and spirit. Today’s exercise is to unplug completely and leave your phone/ other devices at home for 30 – 60 minutes. During this time, go walk in the biggest and wildest natural space you can find. Go alone and just observe what unfolds. Take your shoes off. No distractions. No friends. Just you and the wild. How did I feel without my device(s)? How did I feel hanging out in nature? Do I feel different now after being outside? If so, how? What did I realize about myself? Blessings from the heart of the jungle to yours. Day 8 of my Self-Love Challenge focuses on identifying limiting beliefs and rewriting them to support your limitless growth. Today’s exercise is to write down your top 10 limiting beliefs in your journal. Choose the ones that really prevent you from growing in all the ways you desire most. Then rewrite these limiting beliefs into empowering affirming ones. Read these new beliefs out loud. Repeat them as many times as you’d like. Speak them into existence. The more you think, write, and speak these new beliefs into existence, the faster they become you. Letting go of old beliefs and embodying new ones takes time and patience. It doesn’t happen overnight, but it’s beyond worth it. You got this! Day 9 of my Self-Love Challenge emphasizes the importance of feeling and processing your emotions in order to heal. Feeling the full spectrum of our emotions, especially the “dark” ones, is often avoided like the plague. We are taught from a young age to stuff down our emotions and pretend they don’t exist. We fear what we might experience if we let ourselves go there fully. If we let ourselves get messy and vulnerable. We’ll use all sorts of coping mechanisms to numb and avoid our own emotions. So much so, that we can become extremely self-destructive and project our pain onto others simply because we are unwilling to face the emotions that wreak havoc on our hearts. I’ve learned a lot about emotions over the last several years on my own healing journey. I’ve learned that unprocessed emotions never go away. The pain you think you can just brush off is actually still affecting you. That trauma you experienced when you were younger still hangs out in your energetic field. These unfelt emotions just build up in your heart until you are literally forced to feel them. You must feel it to heal it. There is no way around feeling your emotions. There is no way to bypass this step and wipe the slate clean. You must walk through the fire to release these energies. Today’s exercise is to write down 5 things you know you need/want to heal from your past. Pain you know you’ve never let yourself feel or process fully. If you think you’ve healed all of your past wounds, think again. There are always more layers to peel back. This could be grieving a death, the end of a romantic relationship, sexual assault, bullying, addiction, an accident, etc. How did I feel in that moment? What emotions were present? How did I deal with the pain then, and how am I coping with the pain now? How is this old pain effecting/shaping my life now? Who do I need to forgive to move forward? What lesson did I learn from this pain? I can’t wait to see your posts & stories! Only one more day to go! Day 10 of my Self-Love Challenge focuses on setting clear intentions in order to build your unique dream. If you’ve completed all of my daily exercises up to this point, congratulations!! You’ve been through the depths, walked through your shadows, and cleared what is no longer serving you on many levels. It takes tremendous courage to practice these self-care and reflection rituals. It’s very easy to coach, teach and help others, but it’s often the most difficult to do the same for yourself. You are a self-love warrior! I am SO proud of you! Today’s exercise is all about dreaming, intending, and setting your next steps after all of this deep self-awareness work. Now that you have much more clarity and confidence, it’s time to act on your dreams. This challenge will just be an experience unless you integrate the lessons you’ve learned into daily action. What are the top 3 intentions/goals I will set and focus on now, based on what I learned during this challenge? What is my BIG dream that I wish I could create for myself but just don’t know how? Who or What is getting in the way of building my unique dream? How will I overcome the challenges I will face? Who can I ask or count on to emotionally support me and my dreams? What are the first 5 steps I will take to begin the journey? I can’t wait to read all about your dreams and how you are going to make them happen! Loving Yourself Doesn’t Stop Here! A HUGE thank you to everyone who participated and went on this journey with me! I hope you realize now that you are your own healer. Everything you seek is within you. You are deserving, worthy, and enough. Your potential is truly limitless! I also hope you’ve experienced new depths of connection to your body, heart, and soul. We went deep! For those of you just now reading this, go ahead and start your own journey to love yourself more! Tag me on social media or leave a comment below so I can follow your experience. If you enjoyed this challenge and would love to continue working with me, I just launched my Self-Love Warriors online membership community today! I’m super pumped about it and can’t wait to share all that I have been building for you! Within this monthly membership community, I teach my most potent tools and practices for rapid transformation that I’ve been using with my private clients for over a decade. As a Self-Love Warrior tribe member, you’ll receive in-depth video trainings, action steps, and a monthly live Q & A session with me. I’m here to support you every step of the journey, along with a global community of self-love warriors. Leave a comment below with the phrase “Self-Love Warrior Tribe” and I’ll send you the link to learn more and sign up. I can’t wait to see your Self-Love Challenge posts & cheer you on! 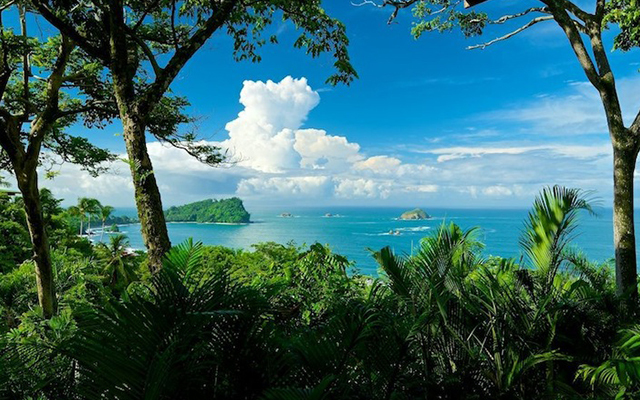 Much Love and Mega Doses of Pura Vida!